Here is some news on the annual Banjo Gathering in the USA. The 19th Annual Banjo Gathering will take place Thursday, November 3 through Saturday, November 5, 2016, in Charlottesville, Virginia. The Banjo Gathering (formerly the Banjo Collectors Gathering) is the only forum focused entirely on the banjo as a historical, cultural, and design object, in contrast to the many banjo camps, festivals, and gatherings that are focused principally on playing the banjo. Since 1998, the Gathering has been the platform for sharing new scholarship and findings between banjo collectors, researchers, instrument builders, and musicians. The Gathering’s signature activities include formal presentations and a marketplace for attendees to inspect, buy, sell, and trade instruments and ephemera from the nineteenth and early twentieth centuries. This focus on the banjo as material culture continues to be compelling and engaging to those who value the banjo for a wide range of academic and non-academic reasons. In the upcoming Banjo Gathering we are launching a program that we expect will become one of the key themes of future Gatherings. “Modern Banjo Makers — Historic Roots” will be a broad exploration and analysis of the historical, cultural, design, and performance influences on the building practices of contemporary banjo makers. Collectors will bring to the Gathering examples of banjos by the featured banjo makers and historical examples of banjos — many of which have never been available for public view — which the makers indicate most inspired them. The banjo makers will discuss the historic and design influences that have most impacted their work, and a panel of scholars will discuss their thoughts about the influences on each maker’s banjos, how each maker creatively responded to historical examples, and how their banjos fit within the range of similar examples by other contemporary banjo makers. Invitations are extended to those who are interested in delivering a formal presentation to submit a proposal to speak at this year’s Banjo Gathering. The deadline for submitting proposals will be July 31, 2016. Please email your proposals to Jim Bollman or Greg Adams. Proposals should include your name, email address, mailing address, phone number, presentation title, and abstract of no more than 500 words. This year’s registration fee is $250 with a special offer of $125 — a 50% discount — for first-time attendees and students. Registration fees should be sent to: Peter Szego, 2 Beekman Lane, Hillsborough, NJ 08844. The Gathering will be hosted at the DoubleTree Hilton Hotel Charlottesville, with a guest room rate is $139 per night (plus a $10 surcharge for double occupancy). 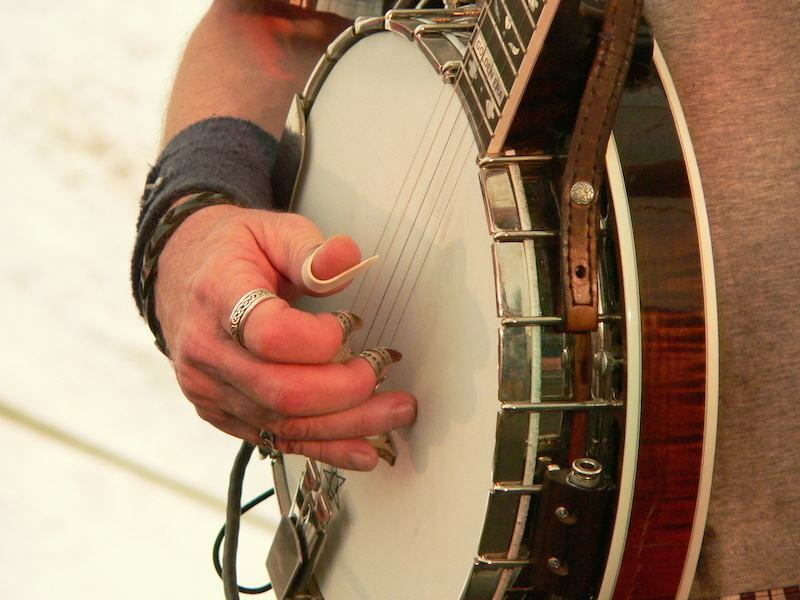 The hotel has set up a dedicated web page for the Banjo Gathering. You may reserve your guest room by phone (434-964-4461) or online. Be sure to reference the group name and group code: GROUP NAME: Banjo Collectors Gathering 2016; GROUP CODE: BJO. For questions about formal presentations and scheduling, email Jim Bollman. For questions about registration, email Peter Szego.